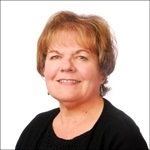 Anna-Marie (Marie) Smith, CLU, ChFC, CFP®, has been with Northeast Planning Associates, Inc. for 20 years. Marie helps create detailed financial plans for our clients, leveraging her extensive experience and state of the art financial planning software. Prior to joining NPA, Marie was a Brokerage Manager for National Life of Vermont, representing their products and services to advisors throughout New England. She is the Former President of the New Hampshire Society of Financial Service Professionals and has served on the Board of Directors for Moore Center Services, Inc., an area agency serving individuals with intellectual and developmental disabilities and acquired brain disorder (ABD) in Manchester and the surrounding area. She is Series 6, 7, 24, and 65 registered with LPL Financial. Marie has a Master of Science in Financial Services from the American College in Bryn Mawr, PA.
Marie resides in Wakefield, NH with her husband, Roger. They have an adult daughter and two grandchildren.